I’m starting to think that the races I go into with relatively low or neutral expectations are often the great ones. 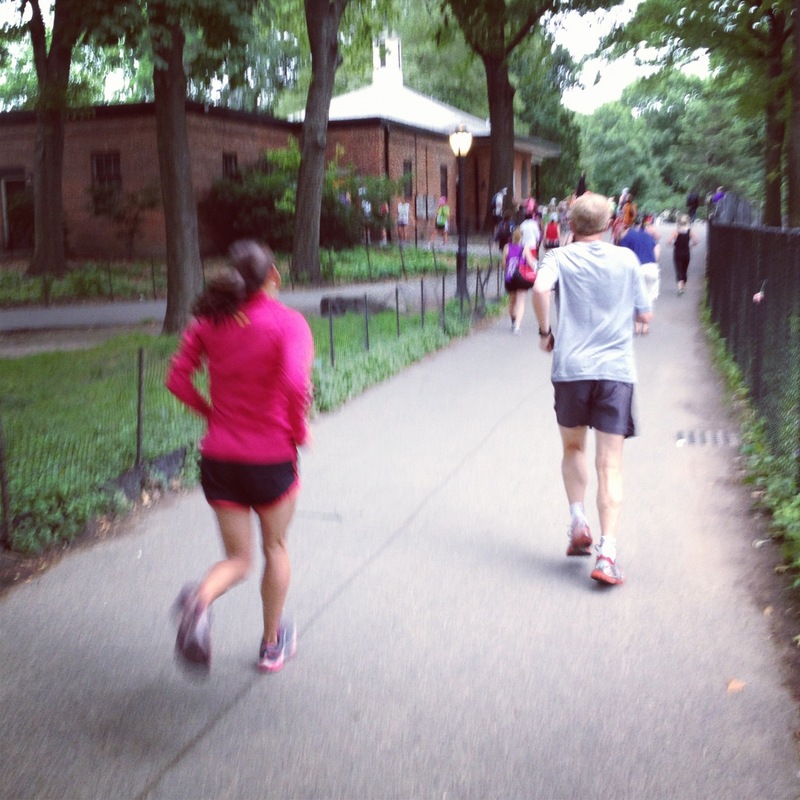 Not to say that setting ambitious goals for yourself isn’t worthwhile – this is what I usually do, and it’s what led me to BQ in the NYC Marathon, for instance. However, my perfectionist tendency to put so much pressure on myself and over-analyze the journey to the finish can sometimes backfire rather than motivate me – it’s a fine line! 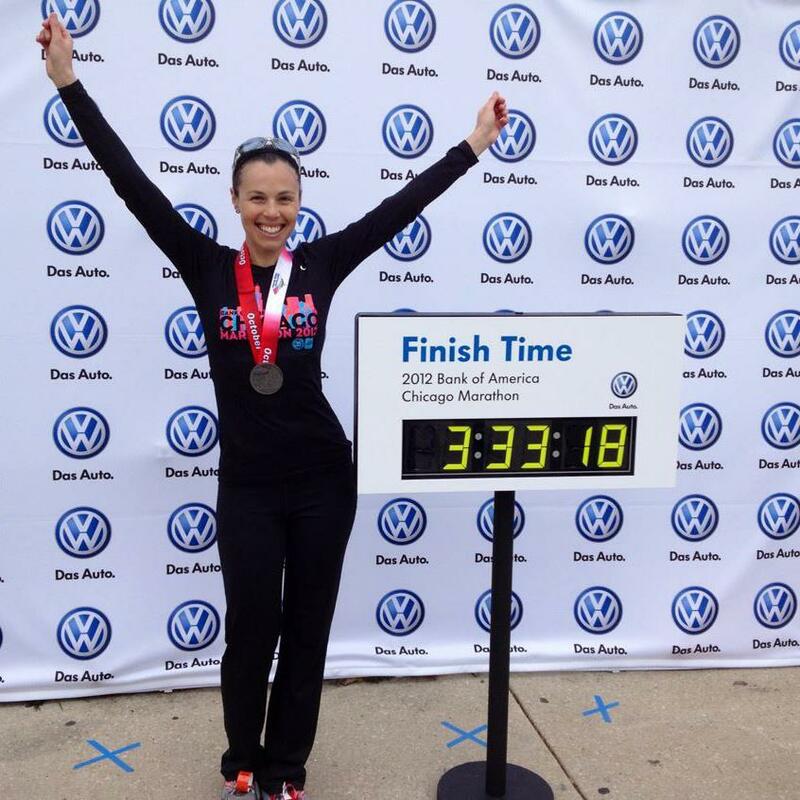 Take my very first half marathon, for instance – I had taken a week off due to a bad cold and didn’t really know what I was capable of achieving. Rather than plot out a detailed race strategy or obsess about pace bands, the gun went off and I just started running. By the second mile, I realized how strong I felt and gradually pushed harder and harder until I reached the finish. I ran a 1:37 and am still trying to beat that time! I trained hard for that race, but my ability to remain so focused and in tune with my body was equally important. Just run forward as fast as you can until you are done – it really felt that simple. And yet most of the time, for me, it never is that simple! I didn’t break any personal bests at yesterday’s Mini 10k race, but I did exceed my expectations and had a fantastic race. I went into it utterly exhausted (I haven’t really slept much in the last two weeks – part insomnia, part organic chemistry), I didn’t feel like running, my stomach was upset and I wasn’t prepared for this race (I’ve done minimal speed work since March). Hence the low expectations! 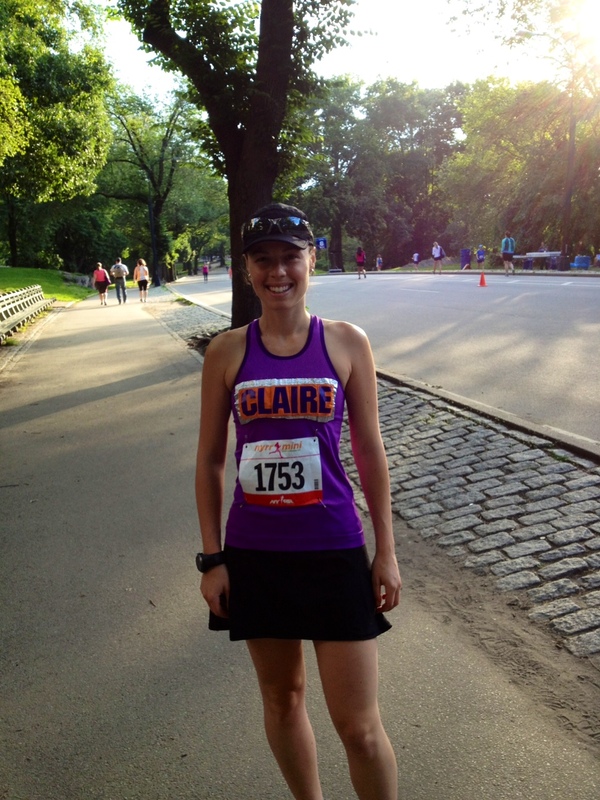 This race was supposed to be a diagnostic to assess my fitness level as I launch my Chicago marathon training, but my real goal was to improve my NYRR race “best pace” of 7:39 so that I could be placed in a higher corral going forward. It wasn’t a very lofty goal, given I normally run a 10k much faster, but I wasn’t sure I could even manage a 7:38. The race started at 8am and we really lucked out – it was supposed to be a hot one and the sun was kind enough to hide behind clouds until later in the day. 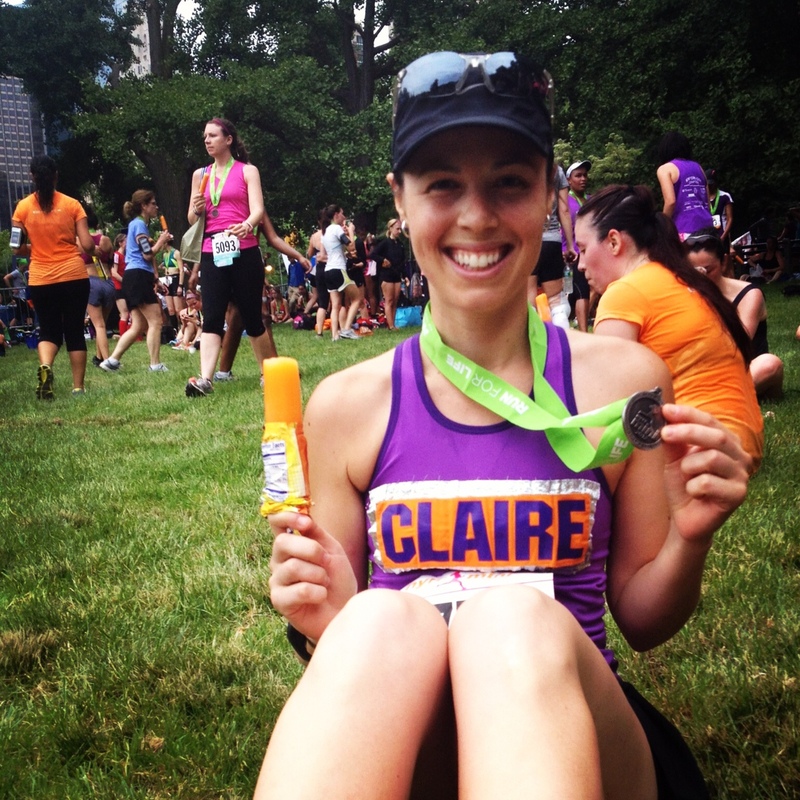 This was my first all-women race – I normally wouldn’t go out of my way to do an all-women race, but I loved it (minus the crazy long toilet lines – they definitely needed more toilets!). 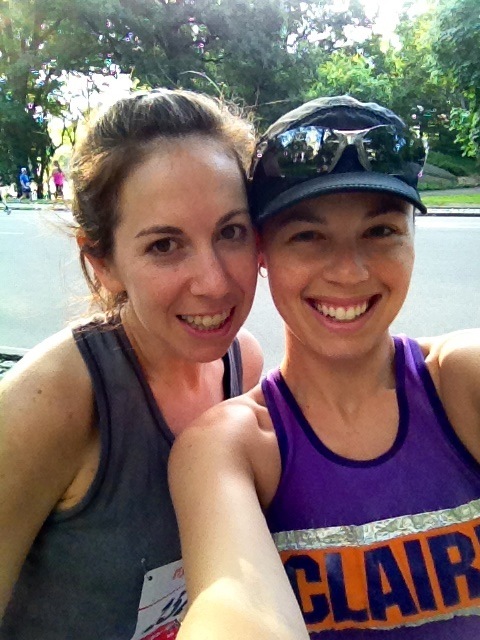 The course was challenging but awesome and being surrounded by so many women runners was inspiring. 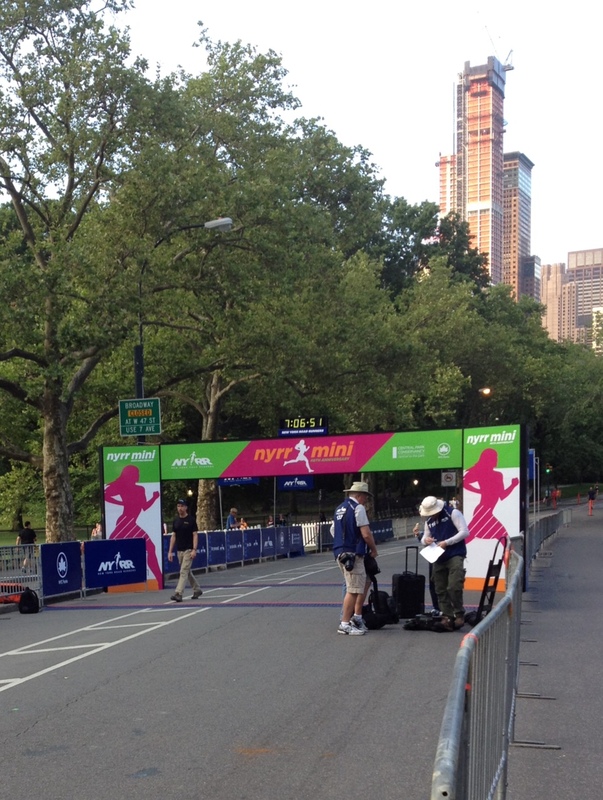 Without all the men in the way, I was right up front – I could see the elites (Desi Davila, Edna Kiplagat and many others)! It’s really tough to toe that line successfully in terms of pushing as hard as you can without crashing and burning before the finish – but in a relatively short race, you can afford to be a bit more risky at the start and I decided to just go for it. The hills were a bit brutal, reflected in my slightly slower split at Mile 4, and I was losing a little steam in Mile 6, but I managed to keep up the momentum for the most part. The downhills felt incredible (why do so many people fail to use the downhills to their advantage?!) and I LOVED the fact that the last part of the race was similar to the NYC Marathon course, including the same finish (minus that horrible hill at the end – I could’ve done without that). It brought me back to how hard I was working at that stage of the marathon to reach my goal and motivated me to keep pushing. Finally I reached the finish – it took me a long time to catch my breath. My official time was 45:58 – just 54 seconds shy of my 10k PR, which I ran on a flat course several years ago. I really left it all out there on the roads – it’s been awhile since I’ve pushed that hard, and I’m really proud of myself given my current fitness level. What a great starting point! I really am more of an endurance runner and usually don’t like 10k’s because they are so fast, but I was really happy crossing that finish line and it was actually really nice to be finished in 3/4 of an hour! I placed 287th out of 6,122 women overall and was 77th in my age group, 30-34, out of 1,146. 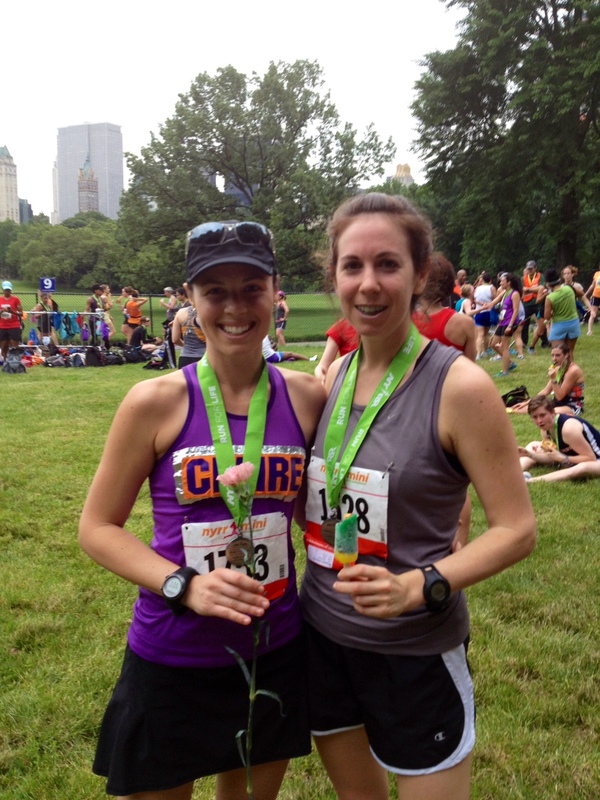 My average pace was 7:25 – great news for my future NYRR corral placements. Here are my Garmin details. This bodes very well for my Chicago training, assuming I can keep myself injury free. Clearly I have more speed in my legs than I previously believed – surely helped by the fact that I’ve trimmed down slightly since I raced my last 10k, over a year ago. My hamstring felt fine during the race, but it has occasionally felt a bit sore after workouts so I just need to keep up my strength training and be very mindful of how my body feels. After the race, my friend and I enjoyed our popsicles and other post-race goodies and chilled out on the grass, stretching and listening to the live music. She got a PR so we were both really amped up. 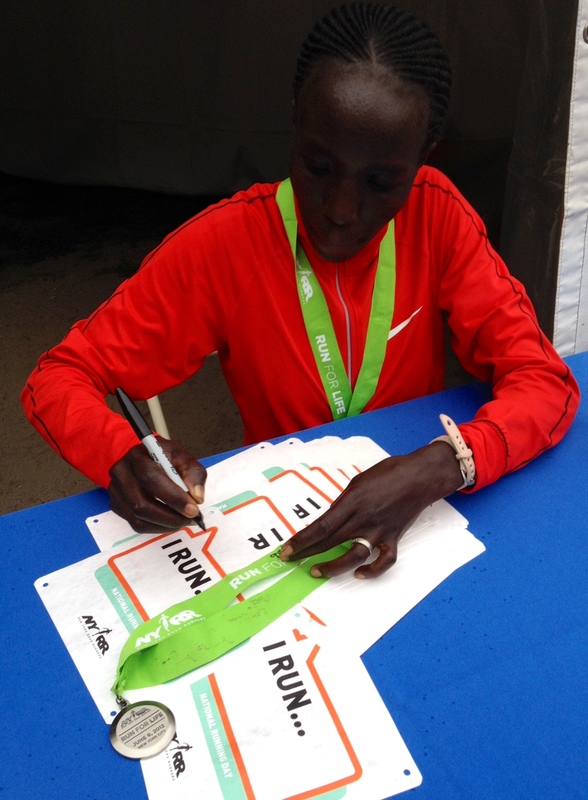 We were about to leave when we noticed a crowd around one of the tents – turns out Edna Kiplagat (who won the race – she also won the NYC marathon the year I ran it) and Desi Davila were there signing medals and taking photos with fans. Awesome! I LOVE Desi so it was such an honor to meet her. I’m kind of obsessed with this photo. I couldn’t believe how tiny she is in person! 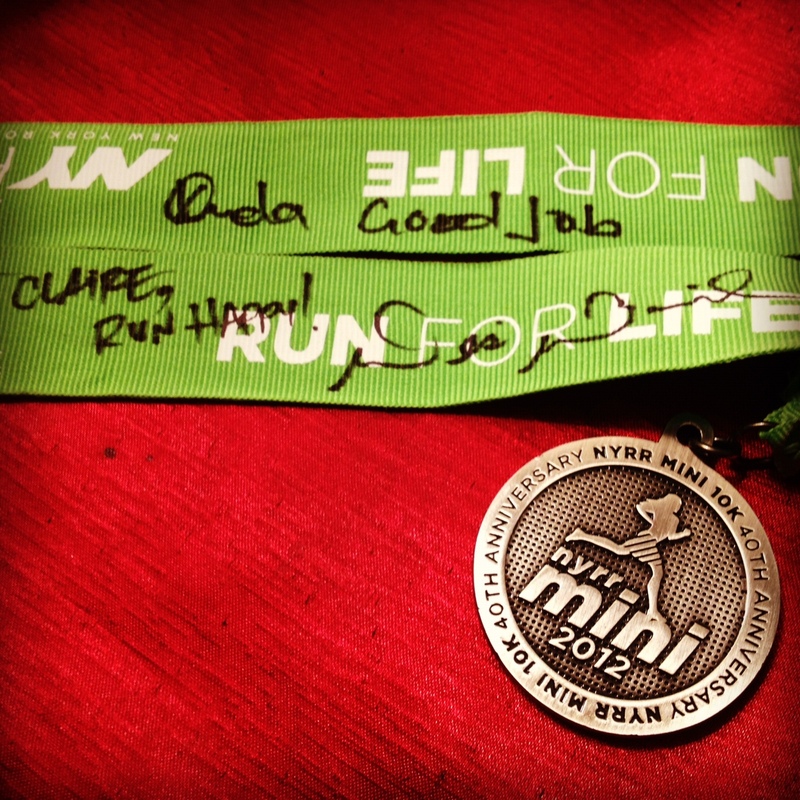 Both women signed my medal – Edna wrote “good job” and Desi wrote “Claire, run happy!” Best medal ever. We finally left the race area and on our way out, we saw Desi running with her coach. They were speeding along, doing some cool-down miles presumably. I can’t wait to watch her run in the London Olympics! I’m definitely doing this race again next year. 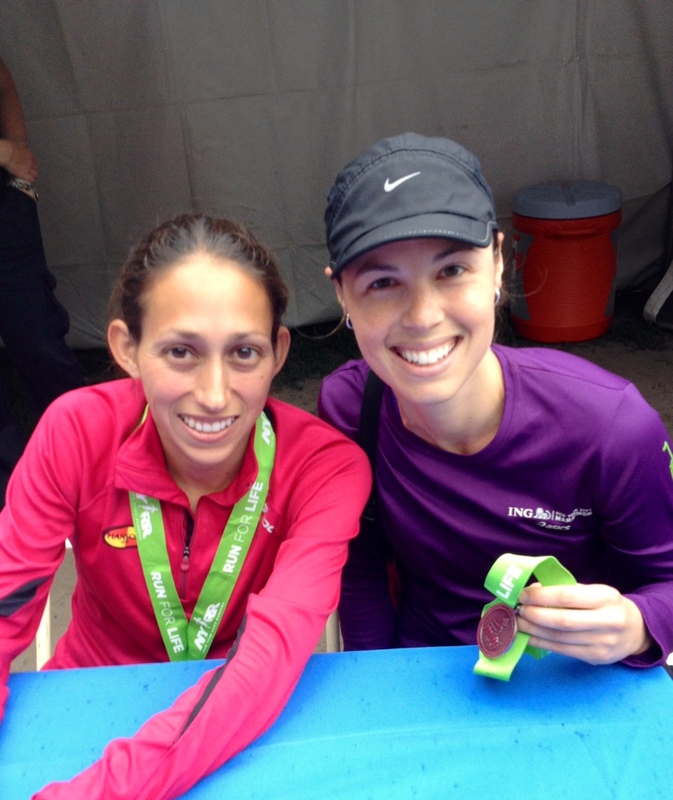 Great course, great crowd and truly inspiring to see how far we’ve come in the last 40 years – GO WOMEN RUNNERS!!! !